In Louisiana, college students must constantly decide between rigorous academics and unbridled fun. This is because Louisiana private colleges and universities in the "Pelican State" have access to both. Not only can students receive an excellent college education, but they can also take advantage of the many amenities that a party state like Louisiana has to offer. Fortunately for most college students, it is possible to strike a delicate balance between hard-core studying and entertainment. Louisiana private colleges and universities offer a wide range of education programs with degrees and certificates up to the doctoral level, as well as professional degrees such as law and medicine. There are 45 colleges in Louisiana, 33 public and 12 private, offering a wide range of programs and majors. These Louisiana private colleges are diverse in character, academic emphasis, and origins. Some private colleges or schools have a religious affiliation; others are secular. Private colleges and universities may be profit or non-profit institutions. Typically, Louisiana independent colleges or private schools give weight to personal characteristics and activities in addition to considering GPA and test scores. The largest being Tulane University of Louisiana with 10,708 full time students. Tulane University of Louisiana is the most expensive with an in-state tuition of $41,500. On average, how much does it costs to attend private college in Louisiana? The average annual in-state private college tuition in Louisiana is $16,762 in 2013. 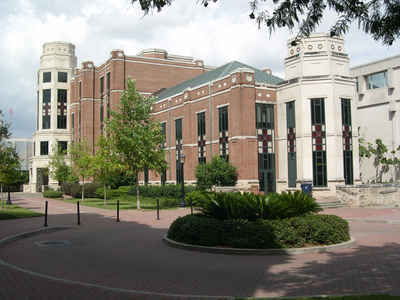 LAICU, as the public policy association, represents the 10 regionally accredited private four-year colleges in Louisiana in both state and federal public policy arenas as well as with the Louisiana State Board of Regents, its member systems of public postsecondary education, the K-12 State Department of Education, and the State Board of Elementary and Secondary Education. LAICU's major functions include advocacy, research and information, and coordination of collaborative activities of the independent institutions.